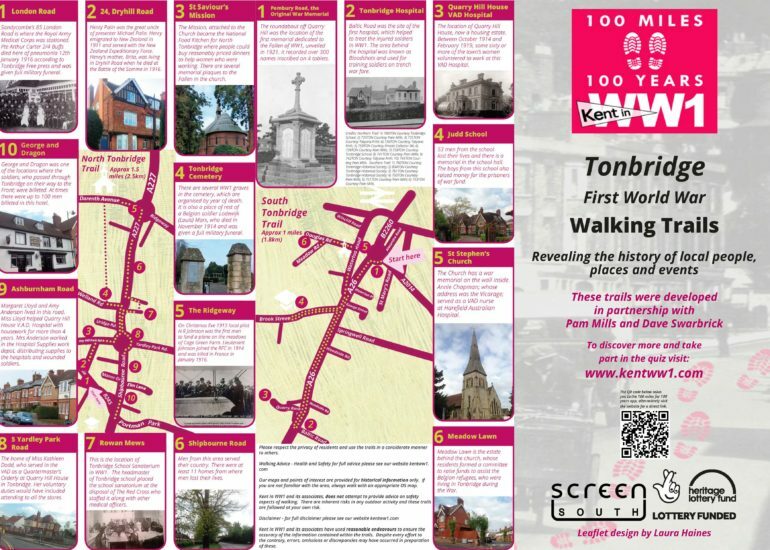 100 miles for 100 years was a Heritage Lottery Fund funded project which designed, with the help of a fantastic group of volunteers, 35 First World War themed, self guided, walking trails for Kent. 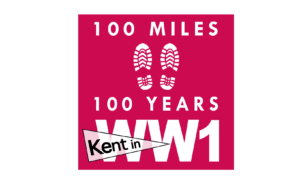 The trails are all accessed from the www.kentww1.com website under the 100 miles tab and also are available to be accessed as an app. 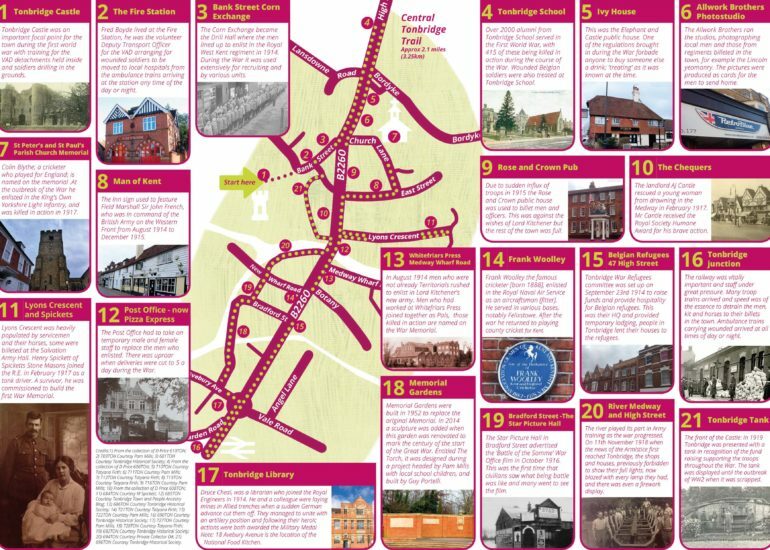 All the trails have an accompanying booklet which contains far more in depth information about each of the stops and also places of interest nearby. 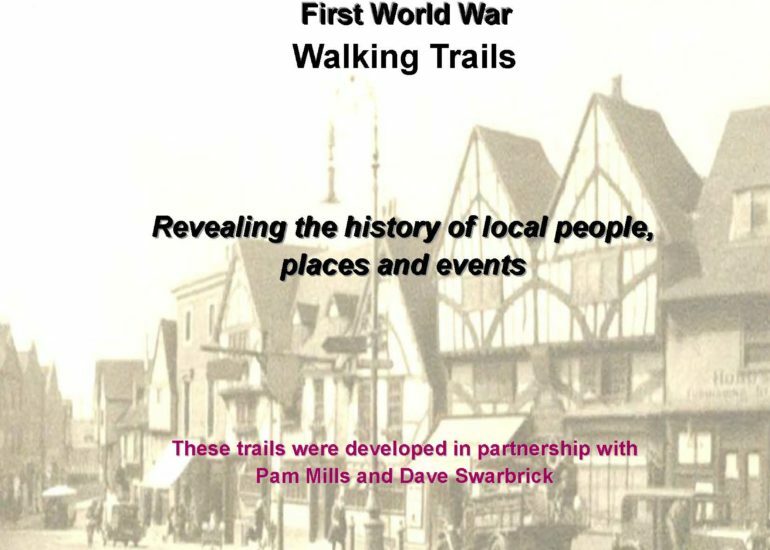 We know that people are continuing to walk the trails which are an invaluable way of locating the heritage of the people and places of the First World War directly to the sites of homes, schools, shops, pubs and hospitals. The site will be live until 2022.